What novel time for a wedding than at Christmastime when families are together and everyone’s spirits are euphoric. The season is magical and one of the most romantic yet nostalgic times of the year — a time for sharing and a time when all your dreams can come true. Paradiso – tropical, yet ethereal and so romantic for weddings. Pergola – a charming gazebo, another romantic stage for the wedding ceremony. 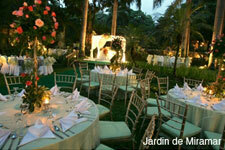 Terraza – garden tiered wedding venue, comfortably cradled under the huge arms of a mango tree. Galera – rustic playground with a maritime wedding theme that can be ingenuously converted into a dining area. 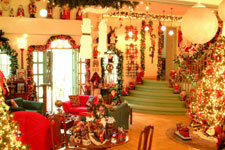 Plaza – rustic outdoors to the cool and elegant indoor wedding hall. Intramuros – an ideal cocktail area, echoeing the Spanish original. Ylang Ylang – the aura of a wedding celebrated in the rustic provincial tradition. Sevilla – the premiere, elegant, fully air-conditioned hall, theatrically set with a stage, perfect for the couple or a presidential table of the wedding entourage.